For many years I have understood that in order to travel by plane, you should not have to get a pilots license.” I still think that is true, and that’s because the airline industry along with the government, has addressed the job of fixing what was wrong and making air travel both safe and accountable. In the past, I used that analogy, to explain why I didn’t think you should need a medical background in order to be a safe patient. Time, knowledge and reality have changed my opinion. Medical error is the third leading cause of death in America. There are many wonderful organizations and hospitals working everyday to make this better. And until patients are seen as part of the solution, not the problem change is going to be very slow. I still believe one should not have to go to medical school in order to be a safe patient. I do believe, it is each of our own responsibility to be educated about the top ten medical errors. This is because, as moms and dads, aunts and uncles, friends, most of the errors that occur, that end up with unnecessary deaths, can be avoided by patients with a little bit of knowledge. One example is Hospital acquired Infections. The World Health Organization has said, if staff, including doctors and nurses, would be vigilant in hand washing, this would prevent a substantial number of infections picked up in the hospital. This is something an “ educated patient “ can prevent. In a polite, respectful way, it’s absolutely appropriate to request the clinician that is about to touch you, was their hands. Knowing that a patient on a ventilator who has their head elevated to 45 degrees will be much less likely to develop pneumonia is something any family member can do. If I had know my daughter needed to be on a continuous electronic monitor, because of the strength and amount of narcotics she was receiving, I would have made sure she was hooked up immediately. I could have done that, and saved her life. Change is always slow. It took twenty years to get a seatbelt law passed. I don’t know how long it took to make drinking and driving socially unacceptable. The point is, we all know we have a problem. 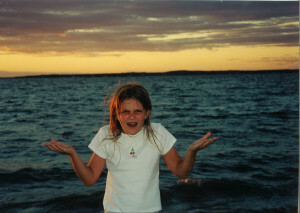 I lost my healthy 11-year-old daughter to a preventable medical error 12 years ago. If I can recognize that anger isn’t the solution, but education and change are, we can all do something towards becoming engaged patients. If I can politely ask a doctor to wash his/her hands before touching my body, so can you. There are ways to be prepared for either an unexpected visit to a hospital, or a planned visit. It is important to keep records, readily available, of all medications you are taking. Of any allergies. Prior surgeries. These simple facts can be stored on your smart phone, or a file that is always in the same place, so you can find it. Unfortunately, one of the realities in medicine today is that records are altered. Another simple solution for an educated patient. Everyone in the hospital should have somebody with them as an advocate. This person has to keep a journal. The EngagedPatients.org website has free downloadable journals. This way, you have your own record of who has come in and out of the room, what medicine has been given, what time. You should record the patients’ vital signs when the staff does. Everything that goes on with the hospital staff and the patient needs to be recorded in your journal. This way, if there is any question as to what actually went on during the hospital stay, you have your own written record. And this can be done in a way that is teamwork with hospital staff, not being defensive. The same with test results. Ask to see them. Use your phone to take a picture. It is important to see all the test results as the staff gets them. You have the right, to ask politely, who you are speaking with. Many times, Hospital ID tags are not visible. It’s important to know, are you discussing your loved ones health with a nurse, a doctor, an intern? You always have the right to request the doctor. I know we always know our loved ones better than anyone else. If you feel that something is not right, ask to see the doctor. This is your right, and it could save your loved ones life. As you read this, it can seem so simple, so basic. And being educated patients is basic, and should be a part of all of our lives. There are many great resources online for patient safety information, starting with EngagedPatients.org Ask yourself, is it worth the time to look into this, to be prepared, just in case? This is an American crisis. The third leading cause of death in America is medical error. We can all do our part to make sure we know how to help keep our loved ones from becoming another statistic. We are at the point where we no longer have the choice if, it is when, and who will be the advocate.